Open Source shopping cart software’s provides many advantages for small business owners. This software’s is suitable for small and medium-sized online retailers. This open source software’s are cheap compared to proprietary and hosted platforms. Free platforms have the biggest developers community if you have any doubt you can ask questions on community forums they will help you. Here we have listed top 10 open source E-commerce platforms. The Magneto is the open source eCommerce shopping cart software. It empowers more than 200,000 retail stores and also 4 out of 1 store using Magneto for their online retail store. Largest retailers of the internet use Magneto for their store. You can build beautiful websites using this platform and also this software is incredibly flexible. This software is scalable and SEO friendly. Magneto Community edition is open source software. Anyone with PHP coding knowledge opens the core files and update new features and add new plugins to their Magneto. 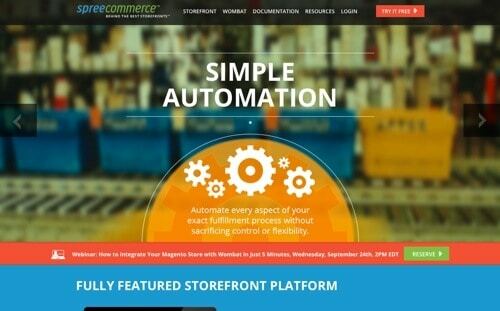 Magneto eCommerce CMS Enterprise Edition is not the free version. And it actually uses same core files but it has many features included in the enterprise version. PrestaShop is a professional e-commerce solution for online retailers. It is released under Open Software Licence (OSL). You can create unlimited categories, subcategories, and images using the software back end. 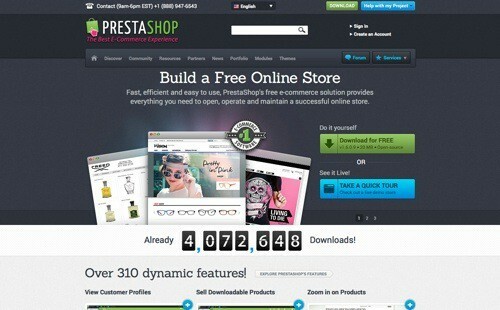 PrestaShop powers more than 33,000 shops online and also it has more than 50,000 community members online. There are more than 100 free add-ons and themes available online. The shops look beautiful in the front end and back end of the software is easy to manage. OpenCart is the open source software. Anyone can build eCommerce sites with simple effort using Opencart Software. Opencart backend looks easy to change themes and plugins with simple steps. The software is designed using PHP. 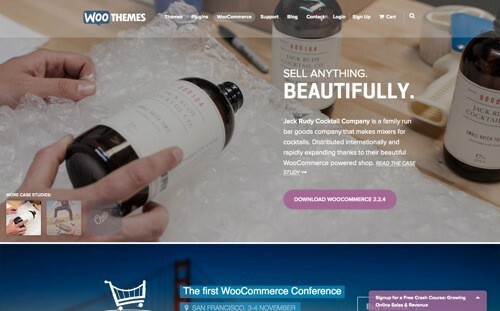 There are free and premium themes and plugins available online. 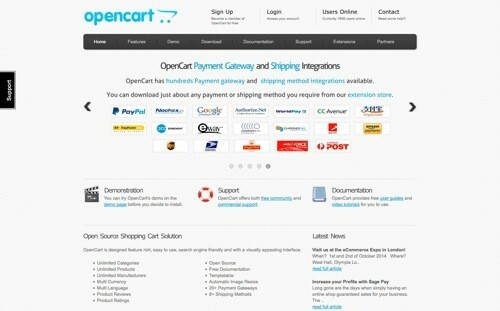 If you want to know more about OpenCart just install it on your desktop using local server software (XAMPP). 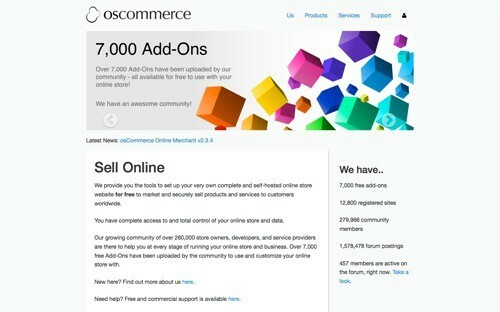 oSCommerce is the flexible open source software. It registered under GNU General Public License. You can maintain your online shop with minimum effort. The software is free, no cost needed to build your online store. You only need a domain name and web hosting, If you want web hosting, Liquidweb is the perfect place to buy a best hosting service for your need. If you use this software, the site looks beautiful and SEO friendly URL this should improve your site ranking on search engines. ZenCart is open source software. The software is free, User-friendly and easy to use admin panel. This makes the software looks unique. The Zen Cart is developed by like-minded people you and me. They released their software using the GNU license. Spree Commerce also an open source software with flexible admin panel. You can choose unlimited choices from admin panel. You can add unlimited products, categories, subcategories, and images to your software. Spree Commerce is designed from scratch therefore, you can easily customize the look and feel of your software. WooCommerce is the well known open source plugin and which runs on WordPress platform. The WooCommerce is best known to handle small eCommerce stores without any problem. The admin panel is robust; you can customize the software based on your requirements. There are free and premium WooCommerce plugins available on the internet you can use those plugins to improve the performance of your site. And also, WordPress has the biggest community online. If you have any doubts regarding WordPress you can ask your question on QA and Forums online to get an immediate answer. 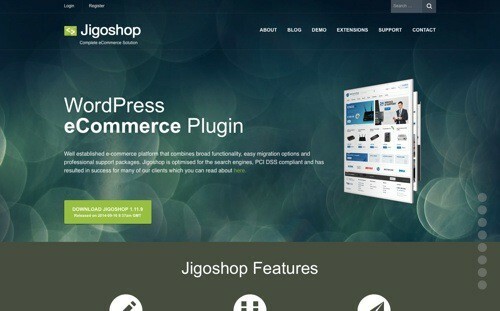 Jigoshop runs on WordPress platform. The plugin released in 2011. There are more than 30 themes and over 100 extensions available online. If you want any help Jigoshop developers provide premium support for their plugin users. You can contact using the Jigoshop official website. 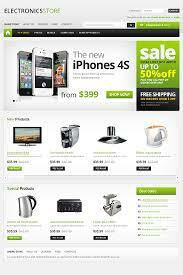 VirtueMart is the free eCommerce component for Joomla. The software provides a complete solution for eCommerce sites. The software developed using PHP and also it requires a MySQL database to store data. VirtueMart is suitable for low-level traffic websites. VirtueMart supports an unlimited number of products, Categories and you can assign the product to multiple categories. VirtueMart allows downloadable products for sale and you can convert your shopping cart to catalog mode using cart turn off a feature on your admin panel. Based on shopper group and product quantity the price of the product will change. There are 500 features added on VirtueMart mentioned on the official website. You can extend your shop using plugins available on the internet. The plugins like SEO index, Phone, and Zip code validator improves your user and search engine experience. The site looks beautiful and it manages your store efficiently. If you want any help related to VirtueMart, you can contact official developers for more information. Drupal is a flexible eCommerce solution for online retailers. The software work using the Drupal platform. It is developed by Commerce Guys. If you want any support you can ask the doubt from Commerce Guys. 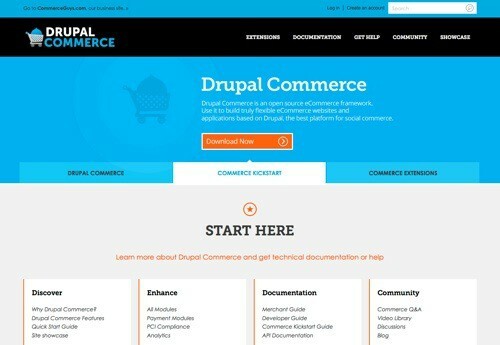 There are 53,000 active retail sites using Drupal Commerce. You can extend the site using Modules. You need a developer for customizing the software. The software supports Multilingual and currency. Today eCommerce trend reached throughout the world because of fast internet penetration and also increased use of mobile phones. This is the best time to start your online retail shop using the above free online shopping software’s. The above open source shopping cart software’s are really helpful to build your brand online.